It is so good to be back after being out-of-town for the holidays! Not that I didn’t have a good time, but I missed being home, and I missed my weekly walks. Thus, after a weekend in which we received a great deal of rain — over two inches, according to my rain gauge — I looked at the forecast for the week and concluded that Monday and Tuesday were my best days to get out and walk. So I did. On Monday, I took a “warm up” walk that involved spending a couple of hours walking around downtown. Having been gone, I wanted to check up on all of the projects I am currently monitoring, and I wanted to see if I could find anything new. 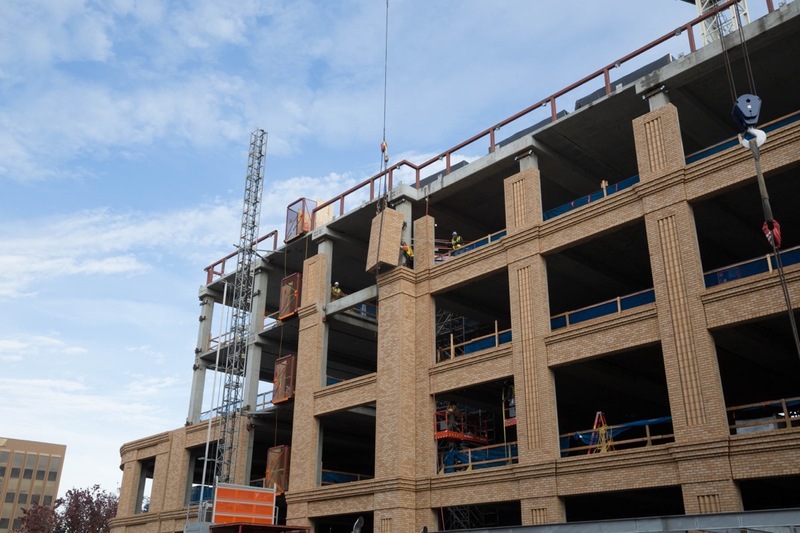 I do love watching cranes work, and watching the workers position these panels and then bolt them in place was fascinating. Old Port Lobster Shack will be a nice addition to our downtown, and will help extend our current Theatre Way “restaurant row” onto Winslow St. This effort will be aided by Joe & the Juice, a chain of juice bars that also serves coffee and sandwiches. 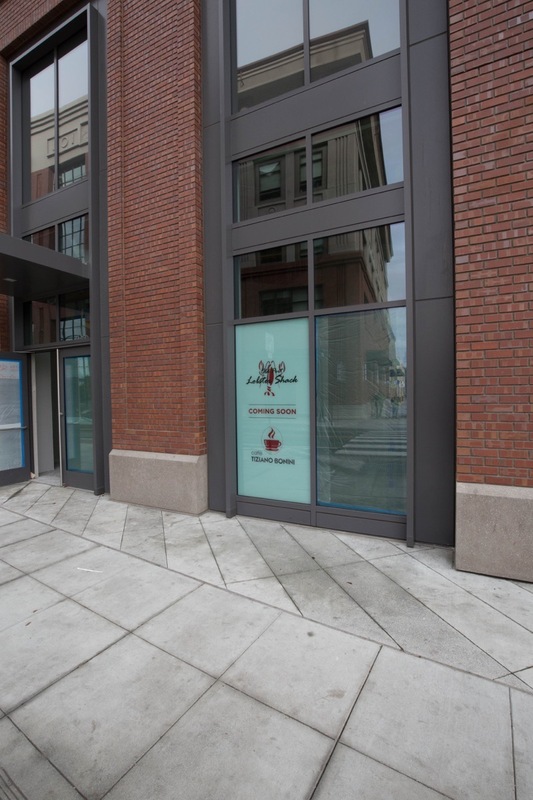 They are moving into the new building at 889 Winslow St.; their door is almost directly across the street from Old Port Lobster Shack’s. 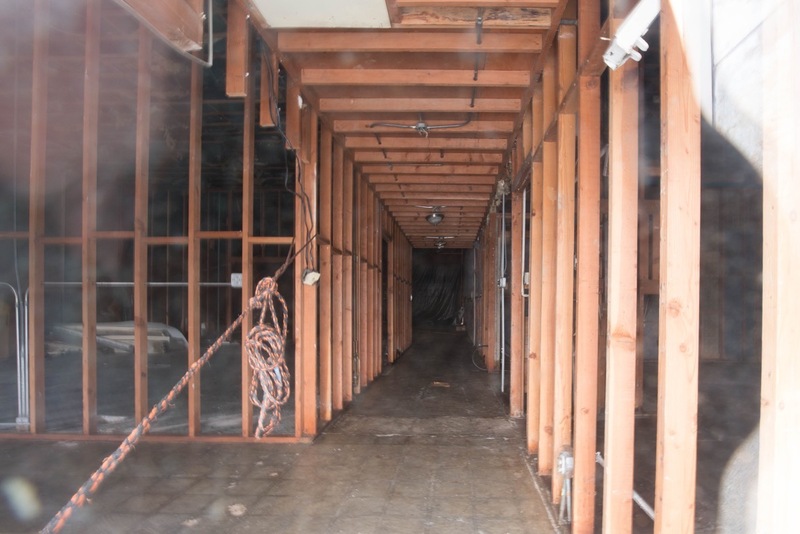 I took a peek at the old Pamplemousse storefront — soon to be Mademoiselle Colette — but as yet there is no visible progress. And I wandered over to the future site of our latest Habitat for Humanity project, at 612 Jefferson Ave. Although that project has officially been moved from the “Approved” column to the “Under Construction” column on the city’s Development Projects web page, at least when I went by all was quiet. Because that plastic is pretty effective at keeping me from seeing inside, I headed around the back to see if I could see anything through the rear door. Fortunately, I could. Unfortunately, the limited view I was able to get didn’t show any new activity: the framing you see in the following picture was put up shortly after the Chinese restaurant closed, and I am not seeing any other visible progress. Of course, from the back I can’t really see the front of the restaurant, so perhaps something is going on up there. Or perhaps this is all being done in an effort to make the space more attractive and thus easier to lease. I’ll keep an eye on it, and will let you know! Finally, I headed over to the intersection of Veterans Blvd. 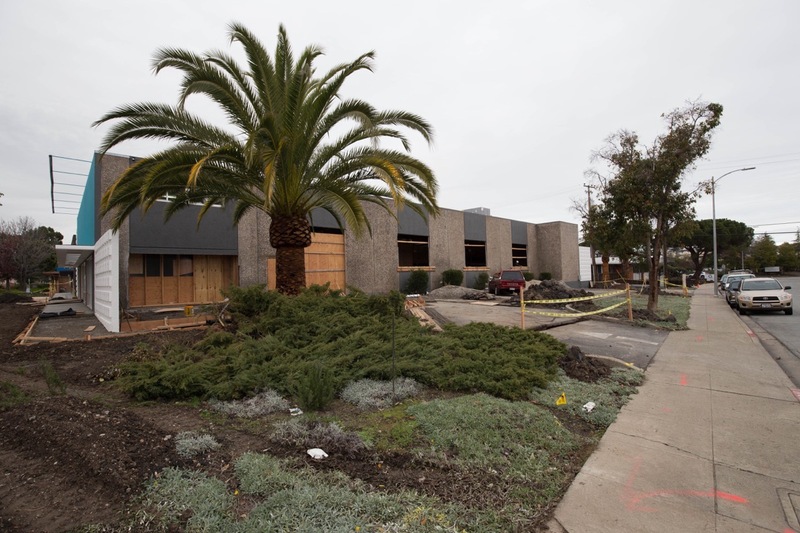 and Brewster Ave., where the building that formerly housed Pacific Stereo is undergoing a fairly significant remodel. Reader Kris pointed me to this building and wondered who might be going in (the sign out front prominently says “Leased”). Unfortunately, although there was plenty of work going on, I wasn’t able to catch anyone’s attention and thus I don’t yet know who will be moving in once the work is complete. This is another project I’ll be keeping an eye on, and will report back with any interesting news. That wasn’t all I saw on Monday, of course, but those were the most interesting. My Monday walk was really just a warm-up, to get me back into a routine and to get my body back into shape for some significantly longer walks — such as I did on Tuesday. According to my iPhone, Monday’s walk was about seven miles in all. Tuesday’s, on the other hand, was almost twice that: just about 13 miles. 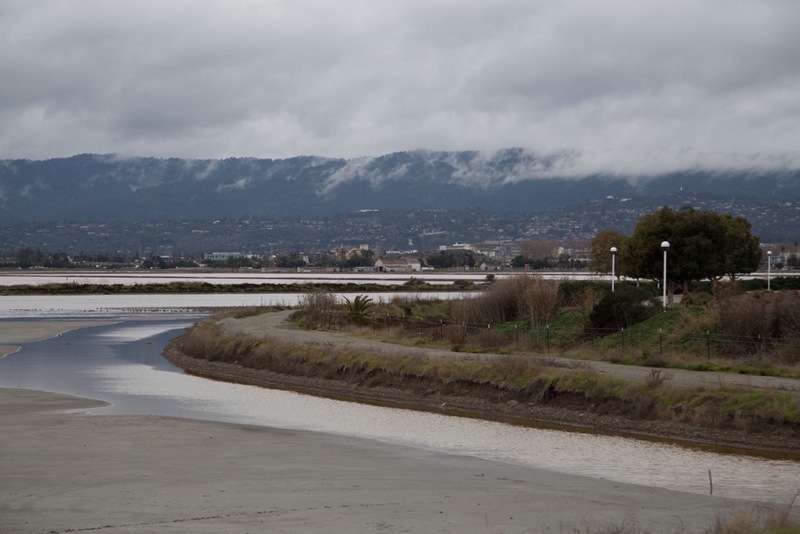 I spent Tuesday walking to, from, and all around the Port of Redwood City. I subscribe to just about all of the electronic newsletters that the City of Redwood City sends out, and I also follow the city on Twitter. 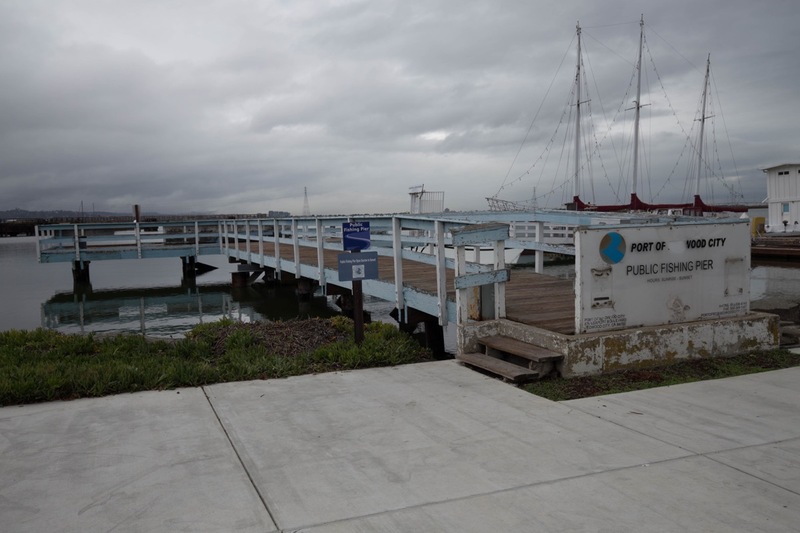 Email messages and tweets about the port were relatively few and far between until shortly after the Redwood City Port Commission appointed a new executive director. Since she has come onboard, the port has revamped their website and greatly increased the number of communications they send out. Especially in the new year, I’ve been seeing a great many tweets from the Port of Redwood City: enough that I figured it was time to pay them another visit. The Port of Redwood City is “out of sight, out of mind” for a lot of Redwood City residents, but it shouldn’t be. Although it is very much a working port — the port regularly tweets about the industrial operations at the port, including the tonnage they handle (2.3 million metric tons in 2018), and their economic impact ($8.6 million in revenue last year) — the port has a lot to offer to those of us just looking for some recreation. The Port of Redwood City boasts more than a mile of waterfront public access (and I believe I walked every inch of it this week!). 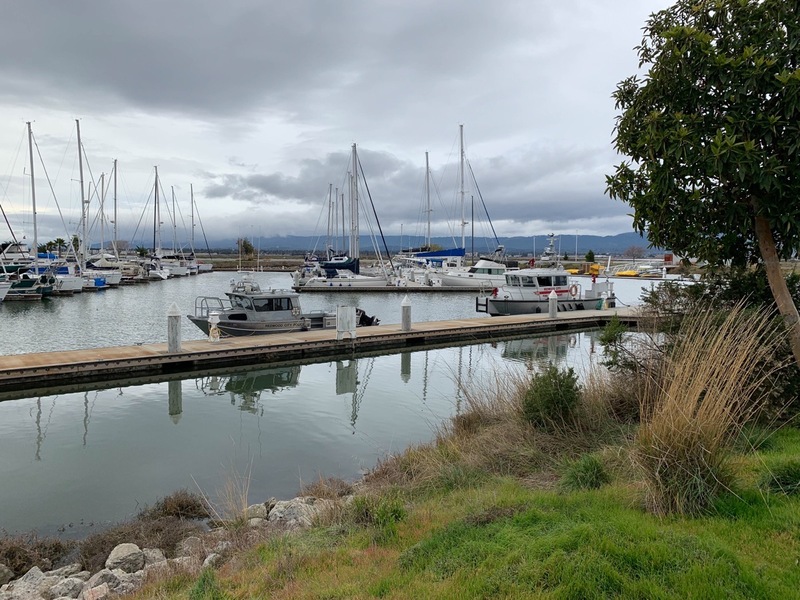 It has a number of spots where you can get some tremendous views of both the bay and of Redwood City, and it has some great park-like areas where one can simply relax and watch the birds and the boats. The port is some 120 acres in all, and because it is a working port, much of it is of course off-limits to the public. 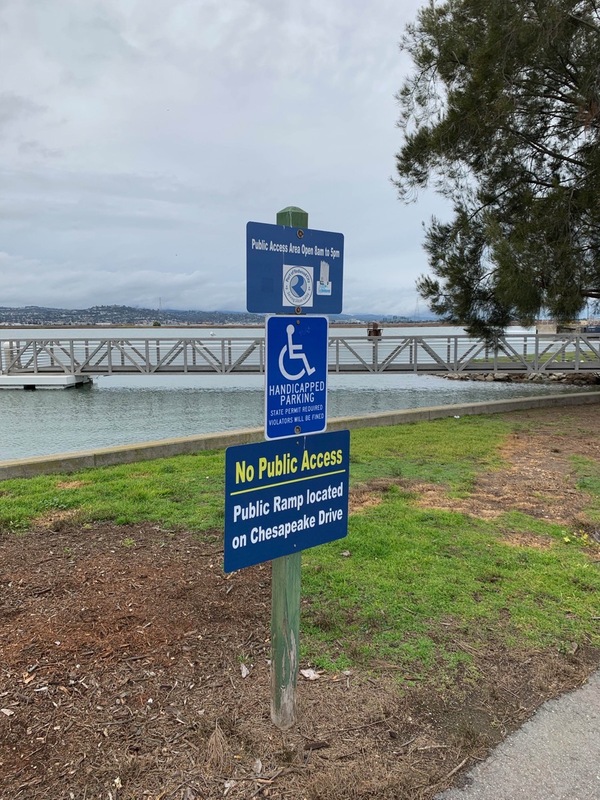 But immediately around the Port of Redwood City Marina (number 8 on the map) there are benches, grassy areas, and plenty of places where you can take a pleasant stroll. This is also where you’ll find Spinnaker Sailing (number 7 on the map), for those who are interested in learning how to sail. 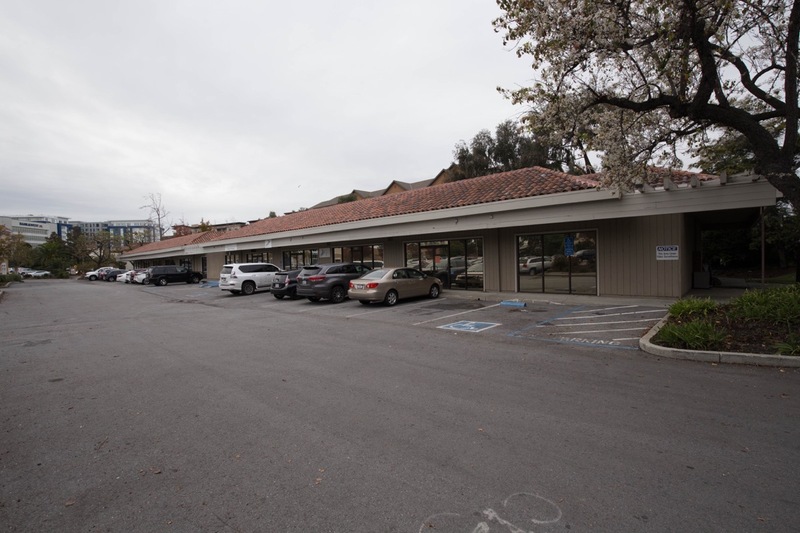 Nearby, on the creek side of the parking lot, is where you’ll find California Canoe & Kayak. If you want to get out onto the bay but aren’t up to taking sailing lessons, California Canoe & Kayak will rent or sell you a kayak and will help you get it into the water. Then, on the waterfront right in front of their store, you’ll find two piers. One of them (number 13) is used by the United States Geological Survey: they keep a boat moored there. As well, this pier is where a private ferry company picks up and drops off passengers. Adjacent to it (number 14) is a second pier that also has two uses: it provides access to “Redwood Landing,” where a number of boats are docked, and it serves as a public fishing pier. As you can see, the public fishing pier is looking somewhat shabby. Fortunately, the port plans to replace it: they’ve issued a Request for Proposals in order to get the new pier designed and permitted. As I write this the proposals are due; in the coming weeks we should hear whether an acceptable bid has been received. In the mean time, though, know that you can fish from this pier. Indeed, while I was there I saw someone doing just that. 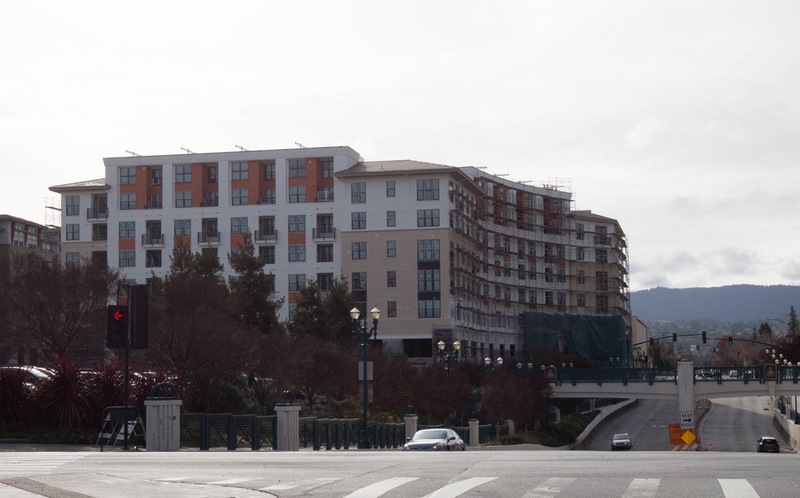 There are plenty of places where one can enjoy oneself in the vicinity of the Port of Redwood City Marina, but if you are looking for somewhere a bit quieter, get on the frontage road that parallels Seaport Blvd. and turn onto Herkner Rd. You’ll pass the Port Administration Office; keep going and then bear left into the small parking lot for the small Public Access area. There is no water access here — these piers are not for public use — but there is a nice little patch of grass and a picnic bench you can use. From here you can get some nice views across the water to the north. Of course, for some really great water views you can always head out to the end of Seaport Blvd., to the Pacific Shores complex. The buildings and sports facilities out there are not open to the general public except on special occasions, but there is a public path that runs around the entire perimeter of the office complex, along which you’ll find benches, some interesting public art, and some great views. You’ll also find Westpoint Harbor, a large privately managed marina. There are some nice benches along the paths out at the end of Seaport Blvd., so it is a great place to stroll and take in the sights. It is also very quiet out there: I recommend it as a place to get some respite from the storms of our daily lives. Even though the sky was thick with clouds the day I was out there, the water was beautiful and the views were tremendous. When driving out to the Pacific Shores area be sure to take note of the signs: there is a great deal of parking but nearly all of it is only for people working at or doing business with the companies in the complex’s buildings. There is, however, some public parking for those of us who are out to enjoy the public shore: just watch for the signs that indicate where it is safe to park. The Port of Redwood City, being the only natural, deep-water port in the San Francisco Bay, is a tremendous asset to Redwood City. It has clear value as a working port and as a place where many keep private boats. But it is also a wonderful place for the average area resident to get out and enjoy for the day. Think of it as a waterfront-oriented park of sorts (without the play equipment, of course), and on an especially nice day consider paying it a visit. I think you’ll find, as I do, that the port is just one more reason why Redwood City is such a special place to live. The lot looks quiet, but there are utility finder markers on the street for Habitat. They say “USA * Habitat 1-4-19”. That’s something! I already miss Cost Plus, shopped there frequently. 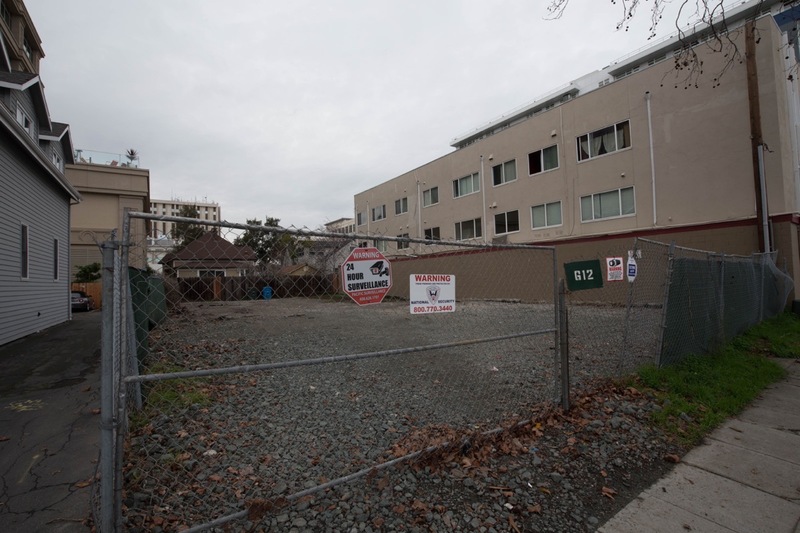 I am going to write their corporate office and ask for them to find another location DOWNTOWN for people like me who don’t have a car and don’t want to hike 1+ mile from a Caltrain station; the Hillsdale location is gone now, too. If anyone else is interested in getting another Cost Plus here, please contact them, as well. Good idea. My wife and I already miss them, too. While I pay attention to Rainfall amounts and believe yours is close to normal. I highly doubt the news or the Drought Advocates will accept this amount. As a young Firefighter for Redwood City one of my jobs was to Report the Weather for RWC at old Fire Station 2. Jefferson and Myrtle. The average weather for RWC over the last 100 years was 22 inches. I like to note TV broadcasts seem to neglect this figure. I could be wrong, But ? Just saying my opinion. I don’t watch many TV newscasts so I can’t speak to whether or not they talk about yearly averages, but I would believe 22 inches. I get my official figures from the National Weather Service. But I enjoy tracking the rainfall at my house; it’s a sort-of hobby for me. I assume something will replace it, but I have no idea who. I’m guessing that the city will push hard to keep that a retail space; I can’t really see anyone putting offices in there (but stranger things have happened!). Yet another thing to keep an eye on (along with the Max’s restaurant in Sequoia Station). I hadn’t realized Max’s was gone as well. Both pretty appealing spots, hopefully we’ll gain some nice new additions. I always thought World Market was pretty busy inside…maybe they’re moving to a more visible location…perhaps the old Pacific Sales space next to Sports Basement. I could see one of the trendier furniture stores such as West Elm or CB2 taking over the Wolrd Market space….well maybe not West Elm as they already have a location in Palo Alto. Thanks for the reply! If you search for “Cost Plus World Market closure” you learn that a lot of individual stores have closed over the years, but also that Cost Plus doesn’t seem to comment on the reasons for those closures, nor whether they are part of something larger. 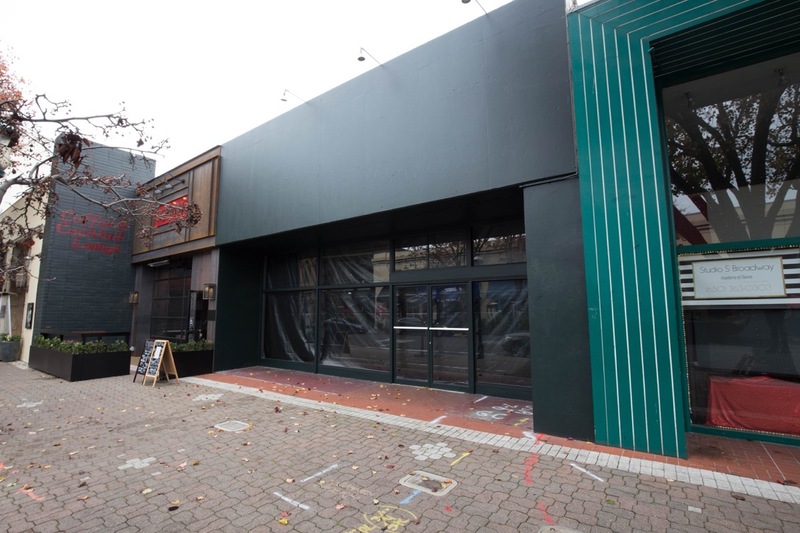 As for the Pacific Sales space, that has been leased by Sports Basement and should be incorporated into their already large store when they finally manage to punch through the wall dividing the two — or so I’ve been told. But if Cost Plus was moving, they’d be advertising that fact, and they likely would have gotten their new location ready before closing the old one. No, I think it is safe to say that they are leaving Redwood City for good, unfortunately. I do like your idea of bringing one of the trendier furniture stores to that highly visible location. Let’s keep our fingers crossed! It’s probably too early to know but any idea if something is replacing Cost Plus World Market? I was surprised to see store closing signs plastered all over the windows. That’s a big space. Hopefully it needs to remain a retail tentant. It’d be disappointing to see it become office space.